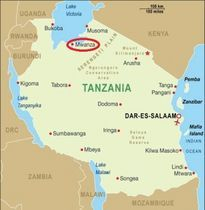 We are fundraising to help people in the Lake Zone, Tanzania! Here we are next to a healthy newborn baby, born 20 minutes earlier at the Kome Island Clinic. But many babies and mamas die in childbirth on the islands. The Kome Island Clinic really needs an ultrasound machine! This would make such a big difference for the people on Kome and the other smaller islands. You could do something original, interesting or fun and make a video of it to raise money through GiveToView! Designate money to the island work through Emmanuel International which is a registered charity with them! People can donate money to watch what you did! It's easy to safely and securely donate online with Charity Checkout. £3260 which is over $6000(Can)! THANK YOU! We will keep you posted with what happens on the islands with Dr Makori and also when we get a project vehicle! We hope that you enjoyed reading the website and learned something from what we have been learning. We hope you enjoyed helping us so that together we can all help people. AMAZING ALDERMASTON! Thank you to SOPHIE MESSER, our friend from Aldermaston who has raised loads of money for us. On her 1oth birthday she organized a LEMON-AID and Bake Sale with our other friends from Aldermaston CE Primary School! Thanks for all the help, Poppy (Teresa Lennon), Tom (Michelle McClellan), Tom (Samantha Pennington), Jessica (Lindsay Phillips), William H.
Click on the photo to "visit" Kome Island and see some of life and Dr Makori's work there! To find out more about Kome Island, you can read our blog posts as well! Click here to watch the action at the SODIS SHAKE! Click here to watch the action at the WATER WALK! We decided to treat a massive 100L of water to make it clean and safe to drink! On April 17th, we shook 67 bottles for one minute each (see what this is all about on the SODIS page!) But we had lots of other people to help us. We taught them how to do SODIS by shaking the bottles with them. We taught about clean water and washing hands. Then they had 100L of clean water and knew how to get more. If you can, please sponsor us! On Saturday, April 19th (Easter Weekend), we did a 6km Water Walk. According to WaterAid, 6km is the average distance that women and girls in Africa walk to get water. We see people going much further than this here in Tanzania, but we'll do the average! See more about this on our WaterWalk Page And if you can, please sponsor us! Through March to May, we are fundraising to help Dr Makori's medical clinic work on the islands on Lake Victoria. Dr Makori lives here in Mwanza, Tanzania and needs money to get medical supplies and equipment for his island mobile clinics. A mobile clinic is one that travels around to lots of people, in distant villages where they don't have healthcare. He also has a base clinic. He needs things like an x-ray machine and an ultrasound. Through his work, many people will get medical care but also lots of health education; and one very important thing taught about is the importance of water and sanitation! We are also fundraising for a Land Cruiser that we can use for our projects. 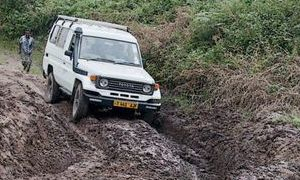 The roads are very rough here and it is hard to get to far-away villages. We want to be able to travel to villages on the larger islands (that we can get to by ferry) and also to villages on the mainland. Then we will be able to help more people with health projects and other things as well. It could cost about $50,000 (£30,000). So we need lots of help! We are doing this because here in Tanzania we have seen and learned about the importance of having clean water to drink and toilets to use. 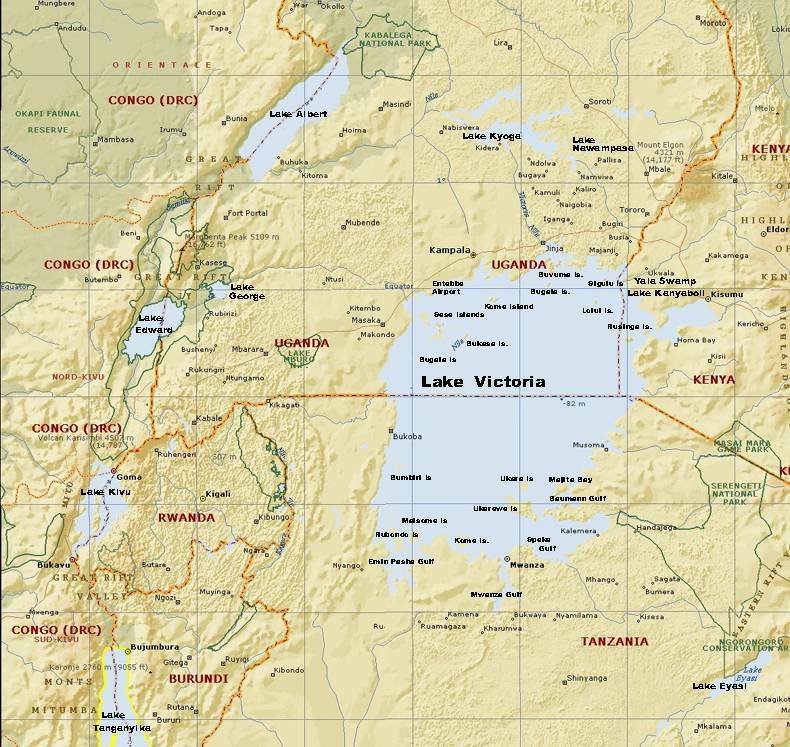 We want to help the people on islands in Lake Victoria. This is important because without clean water, people get sick and sometimes die. The people on the islands often do not have clean water, so they drink and cook with the dirty water of the lake. Unsafe drinking water, inadequate availability of water for hygiene, and lack of access to sanitation together contribute to about 88% of deaths from diarrheal diseases." We want people to have clean water to drink. We have seen ourselves what it is like for some people to live in villages very different to where we have moved from in England. We know that God loves all of us and we should love one another. In the end, God will make all things sad come untrue and we want to show people this hope. God gives us Life! This is why we are doing the SODIS Shake and teaching other kids how to treat their water. We also want help Dr Makori teach people about all these things with his mobile clinics and go to villages to help in other ways too. 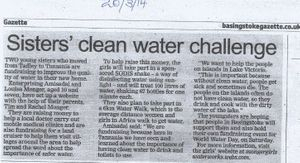 That is why we are raising money with our sponsored Water Walk. We are putting it all on a website because we want other kids to see the things that we have learned and know that they can help too! Sharing our SODIS Shake Fundraising Challenge! We were able to go live chatting via skype with Anne Diamond on BBC Radio Berkshire! It was such a short time that we didn't have time to say all the things we wanted to about what we are doing and how kids can help us, but it was quite exciting! Click Here to go to their website to listen to it ... jump to 2:06:40. We are very thankful to BBC Radio Berkshire for helping us and hope it will encourage more fundraising! The Basingstoke Gazette shared our story and our fundraising challenge! Please sign our guestbook before you leave! Join in and do one or both of our events where you live and raise money in your community! Or do something different, maybe with another water theme or something totally different! Let us know what you are doing and send us your ideas and photos! Pray for the work here and for the funds to come! 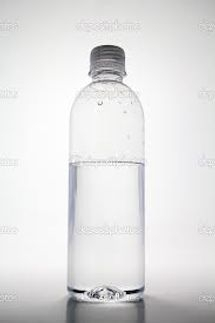 Please keep filling up our bottle! Our family works with Emmanuel International partnering with local churches to help the rural poor. We live here in Mwanza!